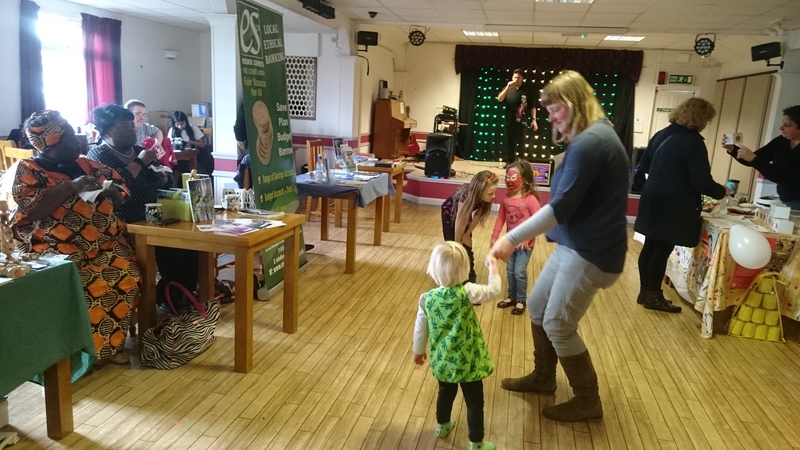 Today was Southend Soup’s 10th soup. 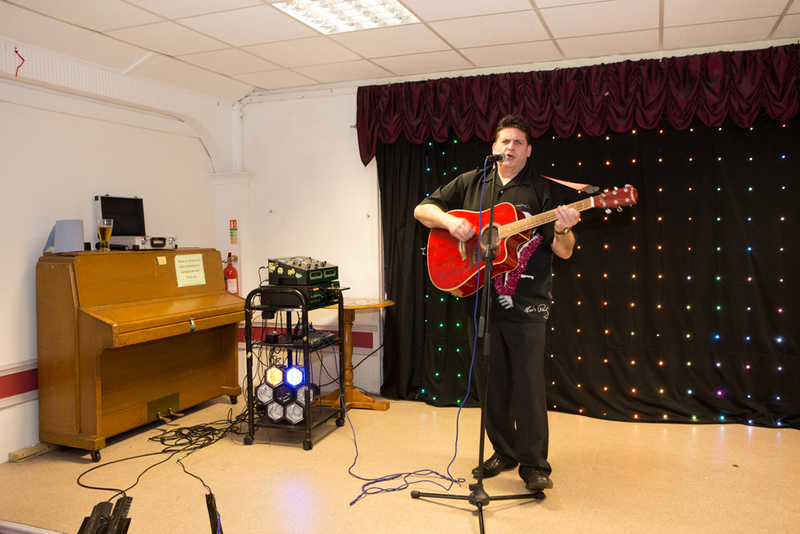 We celebrated with a party at Ekco Social & Sports Club in Southend. It was an appropriate venue – having served the local community, and former employees of Ekco Plastics, for decades. Visit their website to read about the history of Ekco (older Southendians will know the name well) and to find out more about the benefits of becoming a member. Thank you to Max and the Ekco staff for hosting and helping us throughout the afternoon! As ever, all the presenters were top notch. We first heard from 12 year old Rianna, who’d clearly worked hard on her proposal for St Mary’s Horse Refuge. She told us about the history of the centre and, accompanied by a cuddly toy pony, shared poignant stories about neglected and abused horses who now enjoy happy, healthy lives – complete with best friends – at the sanctuary. Next up were Lewis and Pete from the Project 49 learning disability day service. They were standing in for Nicola (who’s got that lurgy that’s doing the rounds) and talked to us about their plans for a community allotment, which they’re calling Growing for the Future. It’s a project in its infancy, so many hands, and tools, will be needed! (Get in touch with us if you’re up for some bramble clearing!) Lewis talked wittily about his enjoyment of, and the importance of, getting involved with gardening. Grace, a qualified social worker, (who told us she feels more a Londoner than a Zambian – having lived here for 40 years and Zambia just 19!) talked about her experience of supporting her mother through dementia. After her mother’s death, Grace felt she needed to do something to help others affected by the heartbreaking disease – especially those living in communities where awareness and understanding of the illness is limited, and access to care difficult. Hence Grace has written her own story, and is establishing a charity. Finally, Chris impressed everyone with her brightly painted Little Free Library. Chris has installed one by her school – and wants to see them in public places all over the town. She explained how wonderful it is to see the contents of the library change: you might fill it with novels, then return to find it contains all manner of tomes from car maintenance to photography! The libraries can also be used to swap plants or seeds and more: Chris sometimes puts in quizzes for children – giving prizes for ones that are returned. The votes were VERY evenly spread. The winner with 18 votes (my maths makes that 32%) was Rianna. Olive wood figurines made by, and sold to support, communities in Palestine. (Contact Paul Fox via Crowstone URC) Paul is also available to give talks about his experiences in Palestine to church groups – and any other interested groups. Rowan – who you might recall we’ve borrowed from Reading Soup – arrived with sufficient vegan cupcakery to feed a pacifist army (as part of his fundraising for a forthcoming project in Africa with ICS) And I’ve JUST remembered – easy to forget these things amidst all the excitement! – Rowan RAN A 10K BEFORE COMING TO SOUP THIS AFTERNOON! Taking this fundraising very seriously. Huge thank you to our caterers – people who voluntarily give their time, and spend their money, to feed us all. (What greater gift than to be fed?) Pete and Fiona made oodles of delicious and wholesome soup and Helen bought us some utterly amazing home made bread. Thank you. Thank you. Thank you to Mark for starting off signing in duties, and to Lisa who took over (and sorted out the voting). …and to Paul Stygal – for once again taking lots of proper photos! 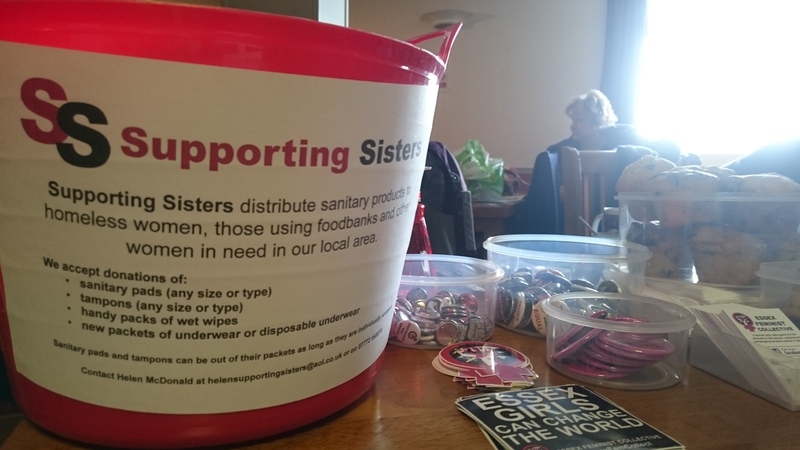 Thank you to Anna for donating cups and to Bernie, Ali and Essex Feminists for contributing to the Soup Bowl fund. Thank you to everyone that bought donations for Supporting Sisters and for the dogs and cats of Maoland Shelter Romania. This included some fab knitted coats from Lisa. Look out for coat patterns coming soon – we want to knit a load ready for next winter. 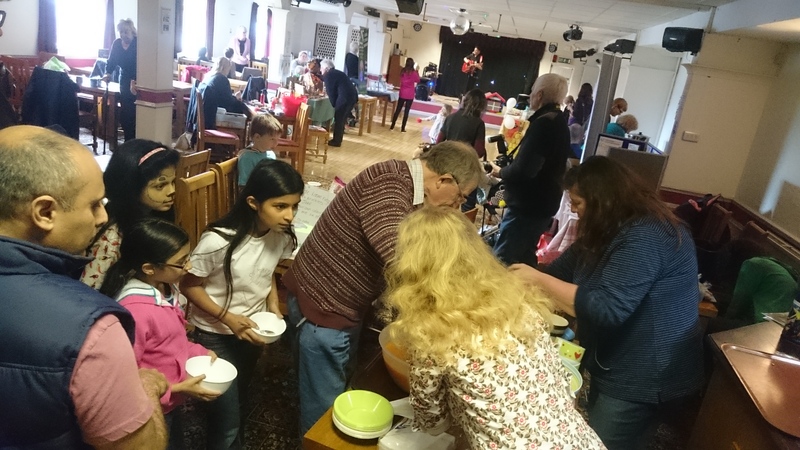 Thank you to everyone that made our 10th soup happen. Soup IS all of YOU. And every small thing you are inspired to do in the world.